Collect the Coins. Pass the Level! 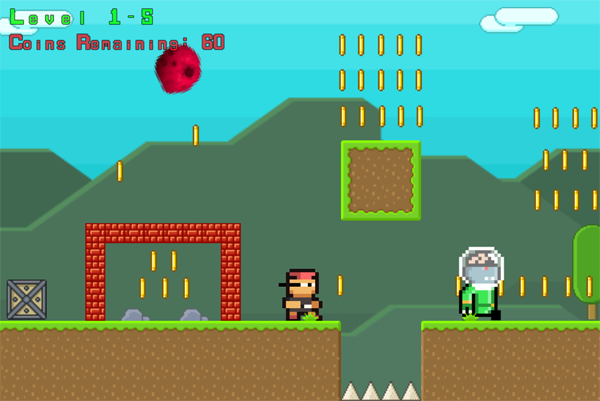 Retro 2D action platforming! You have a simple objective: Collect coins. Pass the level! 40 Intense Levels and 8 Unique Worlds! Each new level will increase in intensity and challenge! You will be tested! Available for PC! Coming soon to iOS and Android! 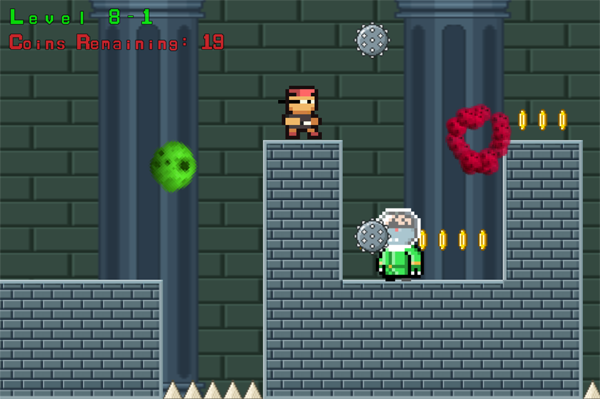 2d Coin Boy is available for Windows, Mac OS X, & Linux. Coming soon to iOS and Android! During a family camping trip, Max wandered through a mysterious glowing vortex and was magically transported into an unknown planet where random meteors are dropping from space every second! His only way out is to collect all the coins of this world. Defeat alien enemies, escape crashing meteors, collect the coins and help Max get back to his awesome camping trip! PC Minimum Requirements: Windows XP SP3, 1GHz Processor, 512MB RAM, 80MB HD free space, latest graphics drivers. PC Recommended Requirements: Windows 7+, 2GHz Processor Dual-Core, 2GB RAM, 100MB HD free space, latest graphics drivers. For PC / Windows-based systems, the XBOX 360 gamepad is fully supported. Other USB and Bluetooth controllers work as well but actions may be set to different buttons. If your controller does not work, I recommend using the JoyToKey application. How was 2d Coin Boy Developed? 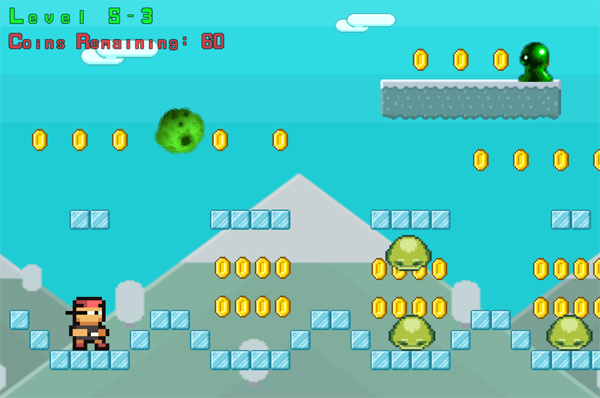 2d Coin Boy was developed using Scirra's Construct 2. 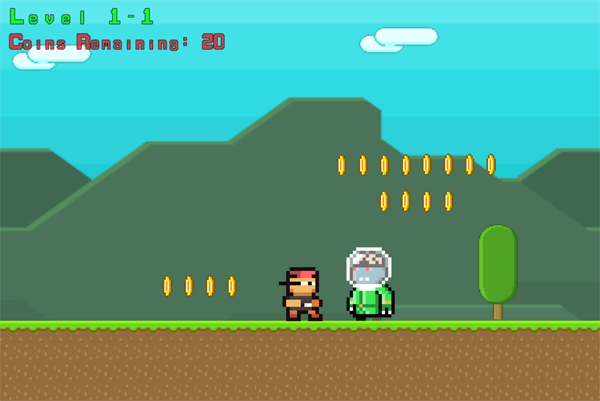 You can buy and download the source code of 2d Coin Boy at Scirra's Store. Who Developed 2d Coin Boy? 2d Coin Boy was developed by Adrian Gonzales. He draws inspiration from many retro video games of the past and present. His favorite 2d games include Super Metroid, Super Mario World, Cave Story, and Axiom Verge. Subscribe! Get Notified of Updates! Download SOURCE CODE at Scirra!